Welcome to Ho Chi Minh City, Capital of Vietnam, and home to over 3 million people. 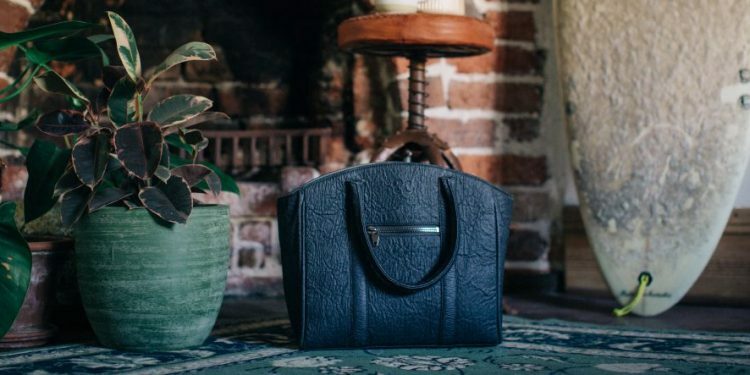 Our vegan food tour takes you through the city, down alleyways and up hidden staircases to some of the best vegan eats this city has to offer. 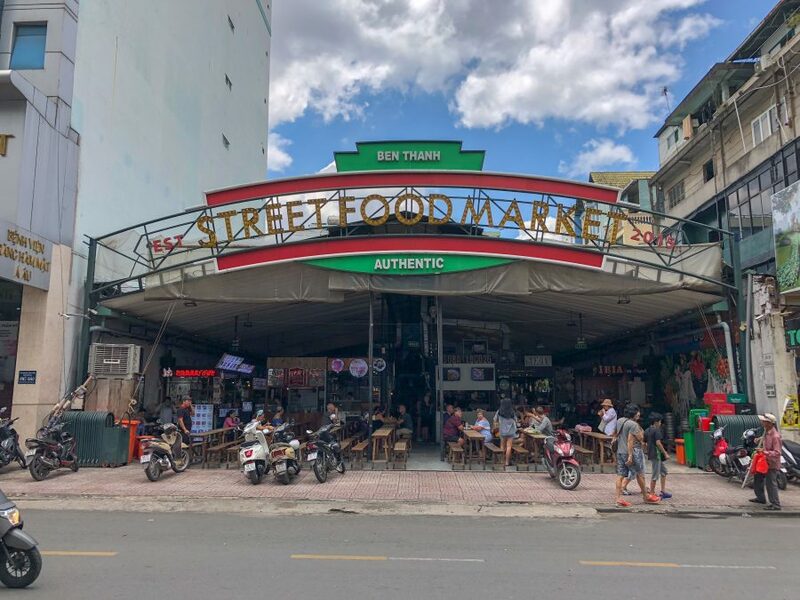 Our first stop is in the tourist hub of the Ben Thanh Market, known for its shopping, but hidden to the side is the Ben Thanh street food market. 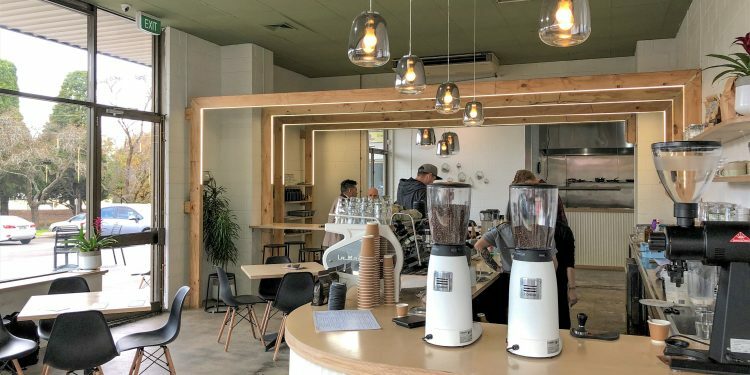 Herbivore, a 100% vegan eatery opened in March of 2018 and dishes up classic western vegan food. 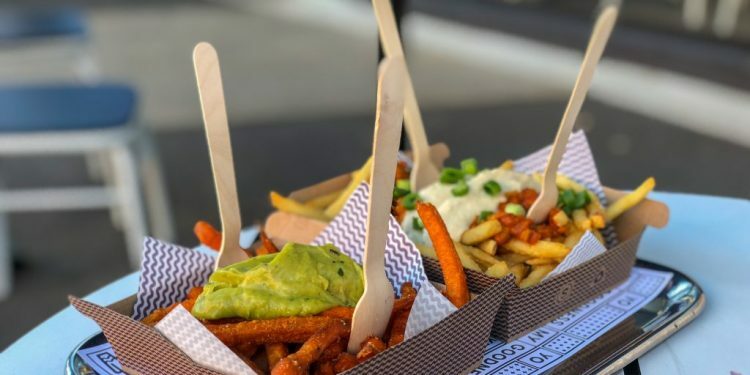 Set inside the Ben Thank Street Food Market, the Herbivore team make Fried Vegan Chicken, Mac and Cheez, Vegan Cheeseburgers and even Homemade waffles with a butter syrup. A perfect stop over for when you are finished shopping in the Ben Thank Market. 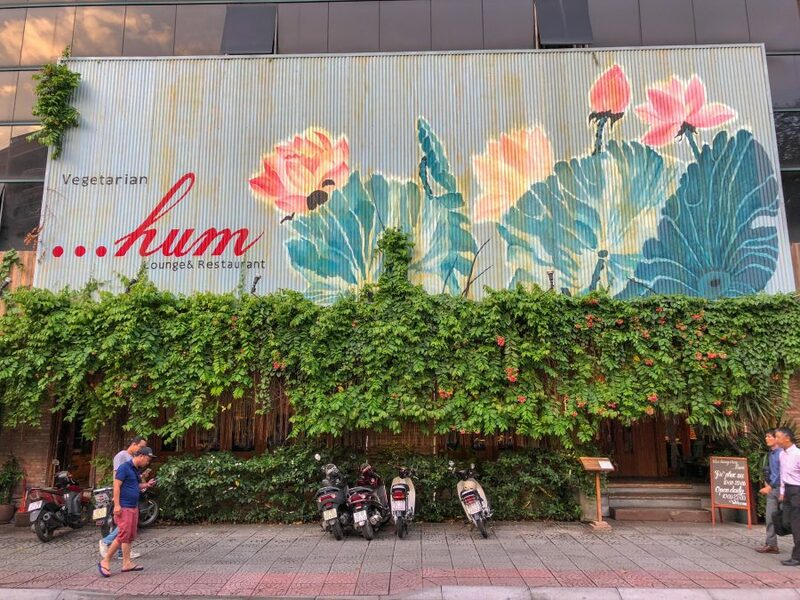 Hum Vegetarian, the vegetarian gem in Ho Chi Minh City. 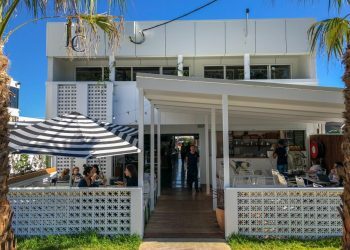 With three locations set amongst a cafe, lounge and garden restaurant, Hum Vegetarian delivers a more sophisticated dining experience. The traditional Vietnamese cooking is seen through the dishes, however, presented with a modern flare. 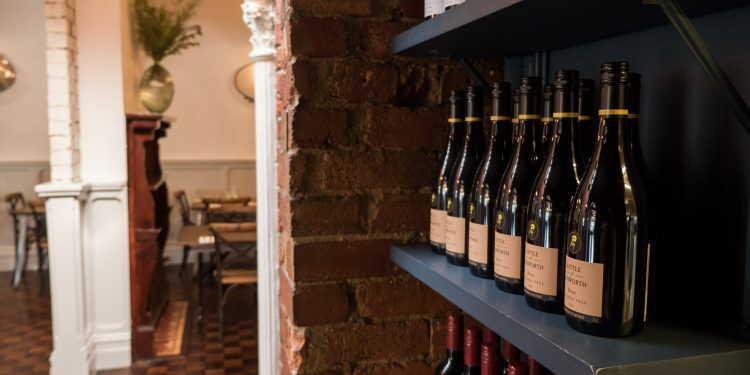 A vegetarian restaurant with style and character, PI Bistro delivers quality food with home cooked elements. The flavour combinations are unmatched at PI Bistro, with homemade black garlic a highlight together with the Tempeh Salad. Also to note is the Fried Rice Noodle Stir Fry, a classic Vietnamese dish you will find all over the city, but none as good as what PI Bistro delivers. If you are craving mock meats in your meals, then Ngoc Tho has you covered. Located right near the Bui Vien walking street, Ngoc Tho offers dishes from all over the world. However, their Vietnamese dishes with mock meat are what they do best. 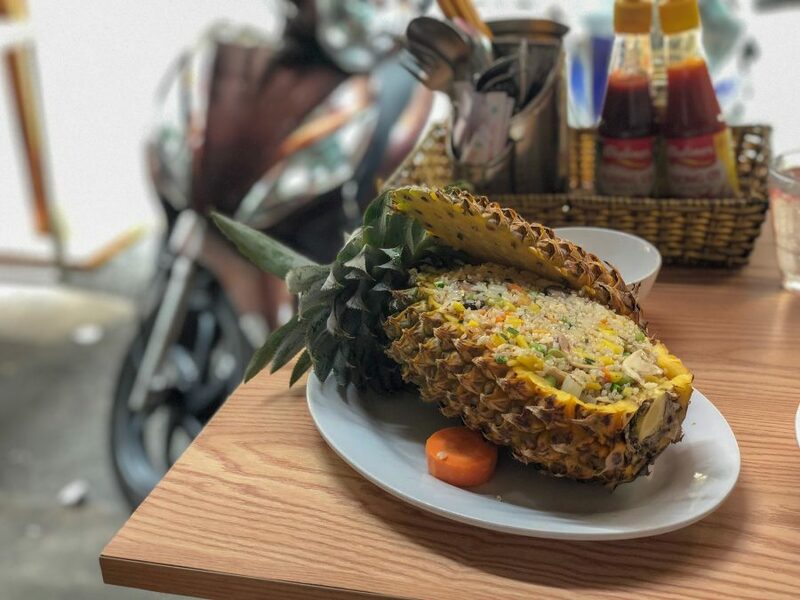 The Pineapple Fried rice is also great value and packed with flavour amongst the other great dishes at Ngoc Tho. 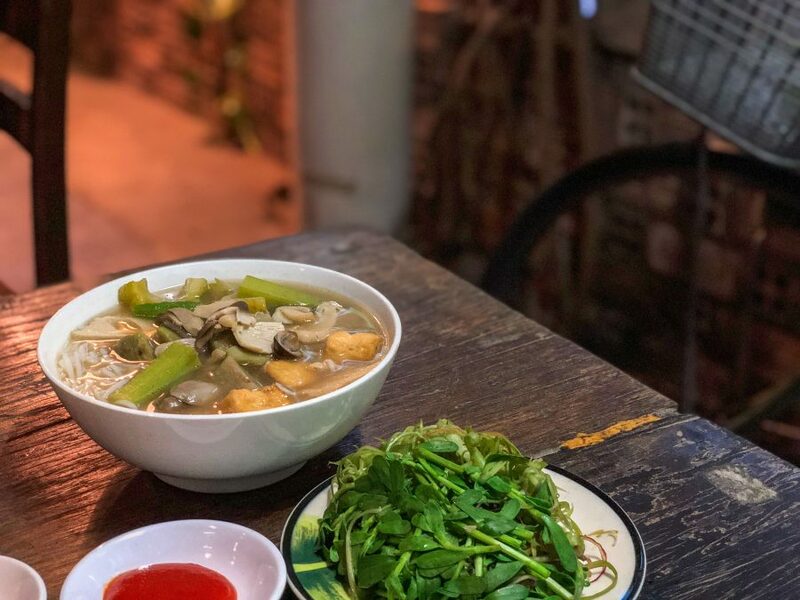 If you haven’t heard about the pink church, of Tan Dinh in Ho Chi Minh City it’s one for your instagram hit list and right around the corner is probably the best vegan pho in the city. Pho Chay Nhu is 100% vegan, with a bowl of Pho costing you around a dollar. Which makes it extremely great value and delicious. You also want to get the steamed rice cake with vegan fish sauce to make you whole experience complete. 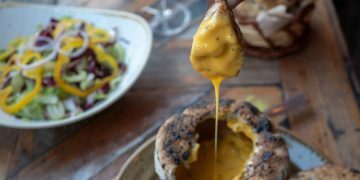 As we venture deeper into the city, Bong Sung hides its entrance down a dimly lit alley, up the stairs on to a treehouse reminiscent balcony to enjoy the plentiful options including vegan cheeses and mushroom and jackfruit encased in sticky rice. The menu is extensive at Bong Sung and has photos for all the dishes, which just makes it that much harder to make a choice. Green Around the Corner is a tranquil, plan based oasis, nestled into the busy Vietnam streets of District 2. 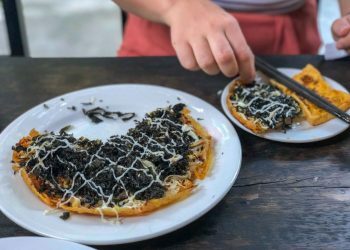 The Thao Dien quarter is expat central, and Green Around the Corner offers great eats together with an eco-friendly shop. 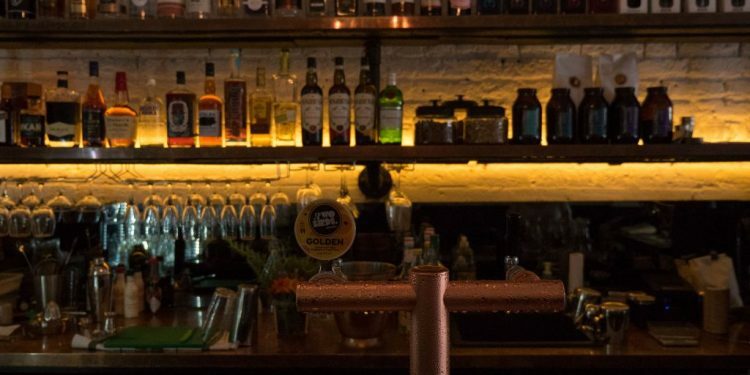 You can find metal straws, both small and for all the bubble tea you will be drinking in Ho Chi Minh City. 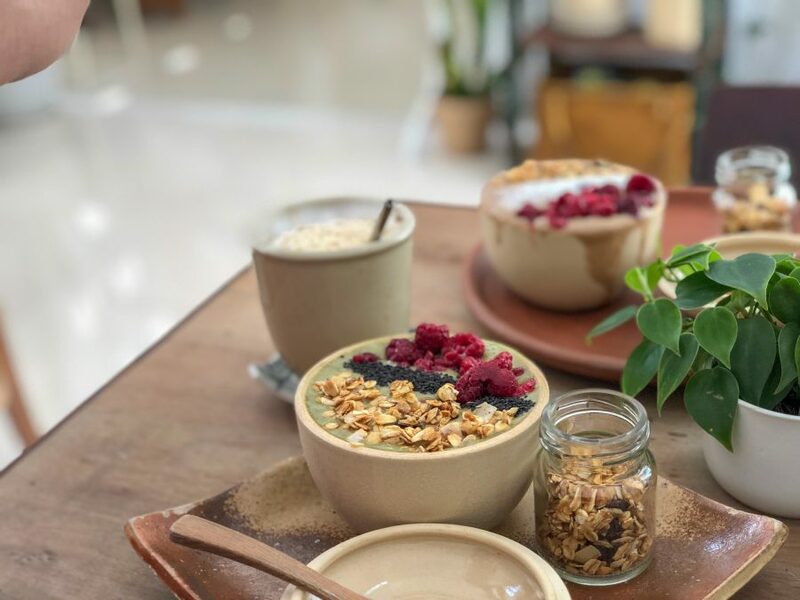 But Green Around the Corner specialises in Smoothie Bowls and they are great at them. 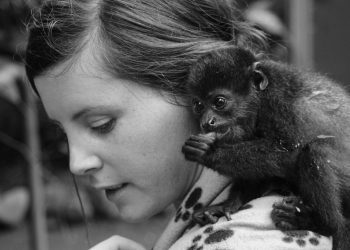 Watch out on their Facebook page for upcoming events, as they have kitchen takeovers and other exciting events regularly. Bep Thuc Duong Lanh is hidden down a long driveway in amongst a little village of restaurants and eateries. This restaurant is also home to cooking classes and had a macrobiotic food store attached. With daily specials of vegan noodle bowls and rice bowls, it’s one you should put on your hit list. 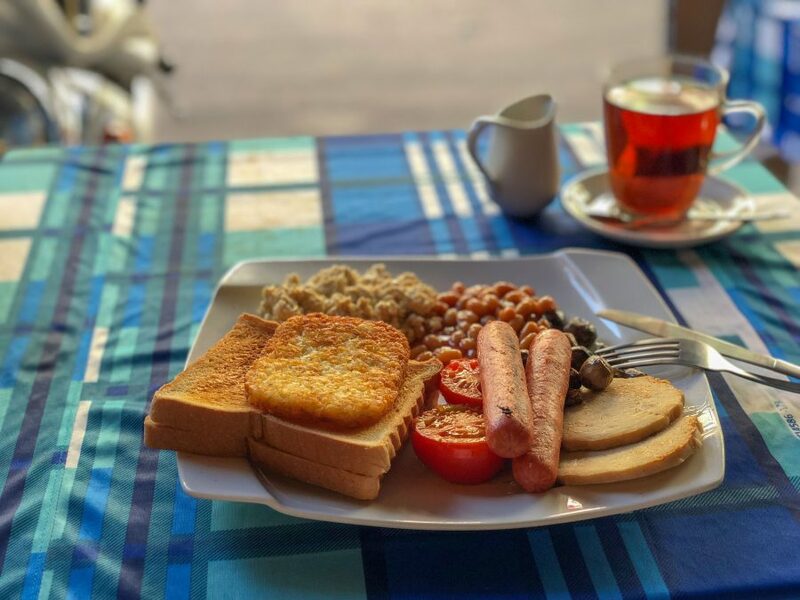 If you are missing you big vegan breakfast, with mock sausages, fake ham, plant based bacon and scrambled tofu, then Bookworm Coffee is the place for you. 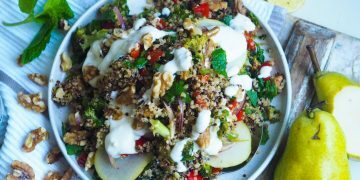 With 4 pages of vegan options and daily specials, you can get your fill here at a cheap price. Bookworm Coffee also has board games and books you can read if you want to have a quiet morning and watch the busy city in full swing. Nha Hang Chay Sen is set on one of the main roads in Ho Chi Minh City. 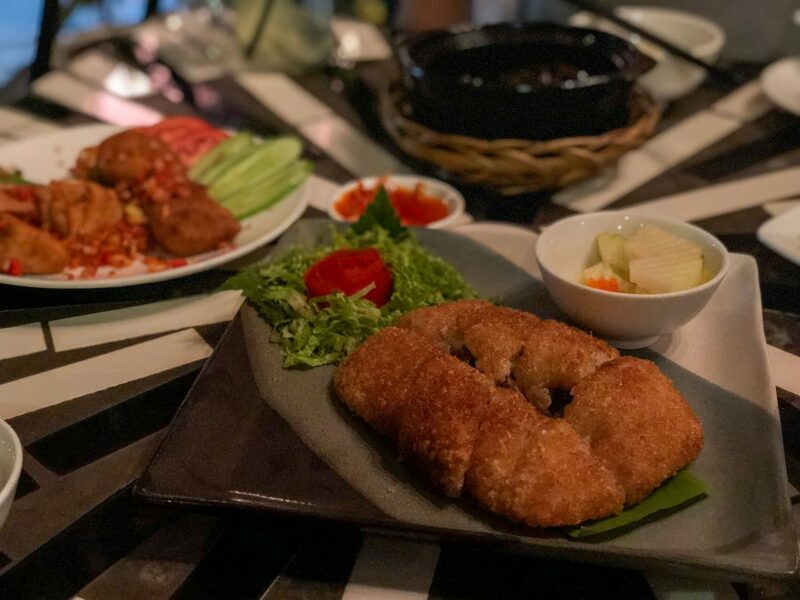 With the Bui Vien Walking street around the corner, you can get you vegan on and then enjoy the nightlife in backpackers central. 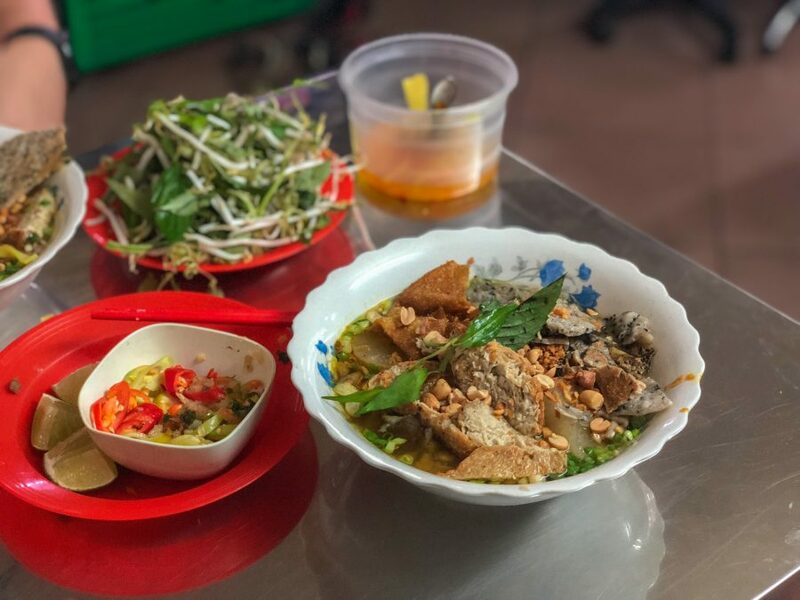 Pioneering the vegan egg in Vietnam, Nha Hang Chay Sen has some great dishes with plenty of mock meat and jackfruit in their menu. 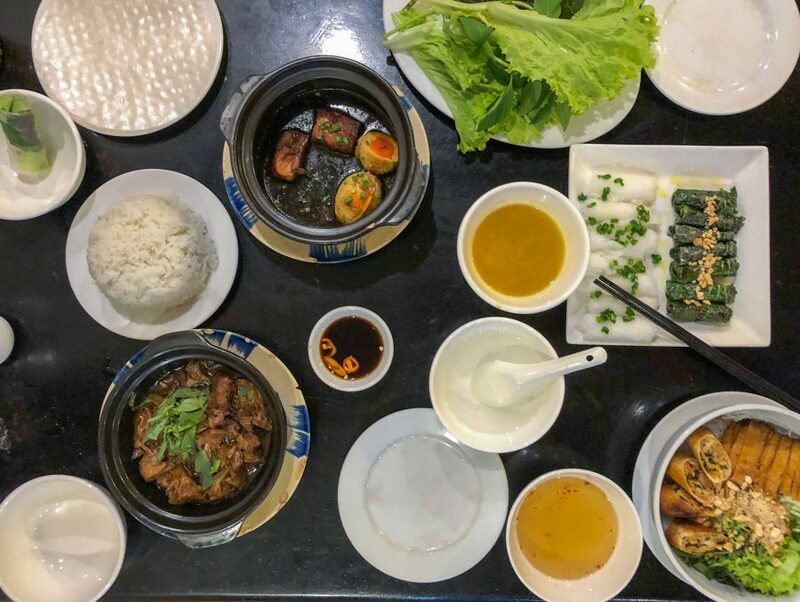 Their speciality is Thit Kho Trung, a traditional Vietnamese dish with vegan egg and mock pork belly. They also have phenomenal Bo Lo Lat which they teach you how to wrap for yourself. 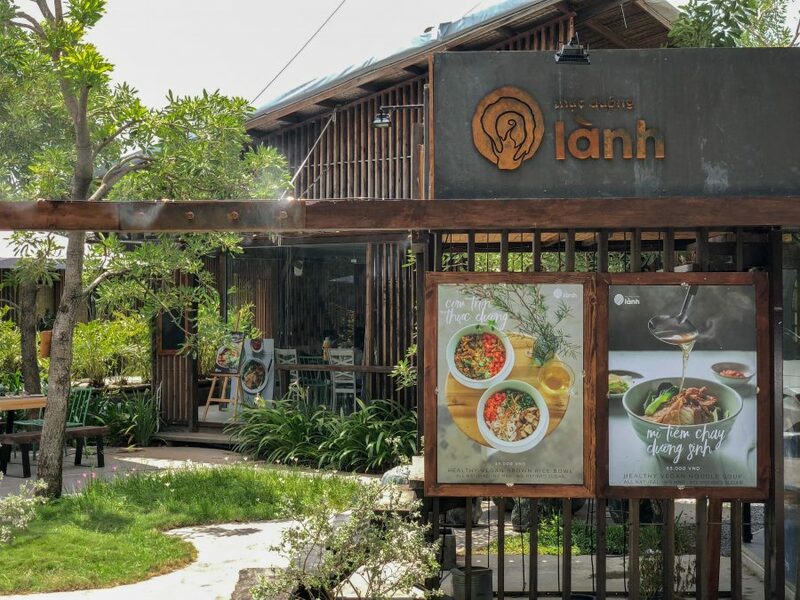 An institution in Ho Chi Minh City, Saigon Vegan has all the vegan items you can dream of. 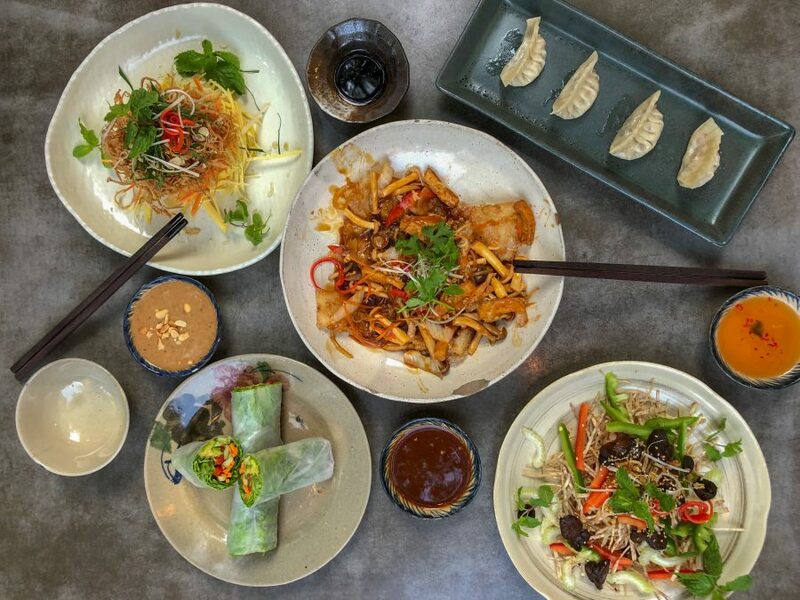 With curries, noodle bowls, spring rolls and other Vietnamese dishes it’s authentic in taste. 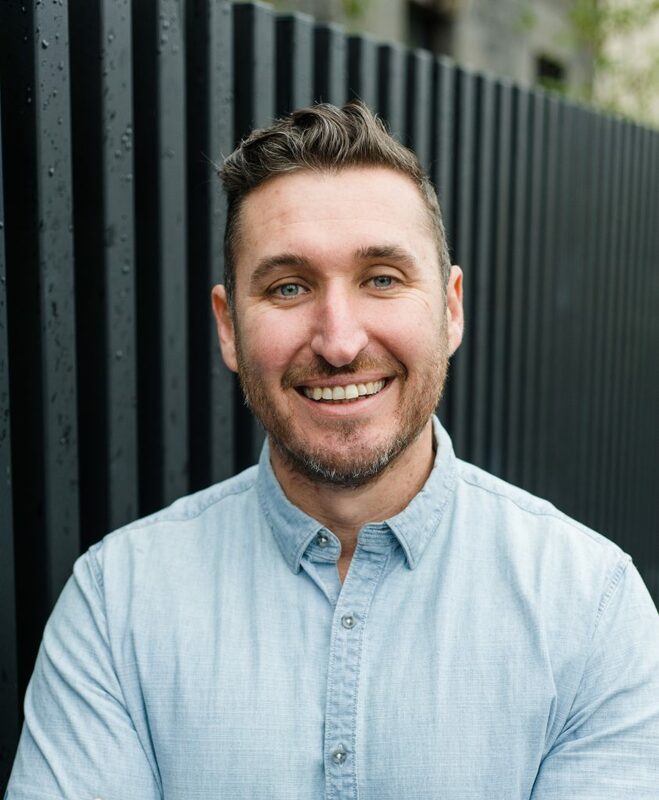 They have a great wall feature with famous vegans to make you feel like you are in good company.